Induction hobs are a scary concept, but one that people have got behind. They've revolutionised home cooking in the last 10 years, signalling the death knell of the electric ceramic hob. Next on the hit-list is gas, which remains popular but as gas prices rise it'll be struggle increasingly to compare with the energy efficiency of induction. They're so damn easy to clean, too. What is the best induction hob? Any one of the seven models below will satisfy your cooking requirements – and then some – but for our hard-earned dosh the Bosch Serie 4 wins the contest by dint of its price, low energy consumption and fine features. The cheaper Neff N 50 is another highly recommended low-energy model with a great price to match while IKEA's Bejublad will make you cheerful, and is cheap. But if you just want to sample the joys of induction cooking or need an extra hob or something you can take camping or use in the caravan, then the Lakeland Smart Touch and Tefal Everyday win the day. The induction cooktop is becoming commonplace now, yet still feels like the stuff of sci-fi. Unlike ceramic or gas hobs that heat the entire plate, induction hobs heat only the base of the pan and its contents. What’s more, they’re so efficient they can usually boil water quicker than a kettle and are said to be 50% faster than gas. So how do they work? That’ll be our old underrated friend magnetism. Even when the hob is on it remains cool to the touch, yet as soon as you place a saucepan on it, a whopping amount of heat is generated and before you know it you’ve whipped up a four-course banquet. You can even put a tea towel between the hob and the pan and it won’t catch fire, not that I’d advise doing that. And because the whole hob is completely smooth, any spillages like boiled milk and slimy pasta water are very easily cleaned with a simple flick of a kitchen wipe. There is a slight down side to this: the absence of knobs makes cleaning easier but control of temperature settings slightly harder. A knob really is the ultimate temperature changing device, and no touchable strip can measure up. However there is a small but fairly significant caveat that should be considered before jumping on the induction bandwagon: induction only works with ferrous metals like steel and cast iron and chances are at least some of your current cookware is of the wrong variety. It’s easy to check: place a magnet to the base of each pot and pan. If it sticks you’re in luck; if not you’ll need to fork out on some new cooking gear. The majority of induction hobs are swathed in a beautiful looking slab of ceramic glass. Be mindful that this surface is quite easily scratched by rough-bottomed cast iron cookware so position your Le Creuset casserole dish with care or stick to steel pans with smooth bottoms. Hello Fresh review: is this 'meal in a box' service worth it? Some induction hobs draw up to 7.4kw of power and that means having a separate ring main fitted if your current setup is, like many older kitchens, just a standard 13 amp cooker plug. If you also have an electric oven on the same ring, you may in fact need an even higher rated cable. Bear this in mind because it’s the single most important consideration when purchasing any electrical cooking appliance. I’d advise employing the services of an electrician beforehand just to be sure you won’t be purchasing a product that needs a whole new ring main installed at great cost (upwards of £500). Right, you’ve read the pros and cons of induction. So what the devil are you waiting for? Aside from the attractive price and excellent set of features, this Germanic induction hob hogs the #1 spot for one reason in particular: it’s one of only a handful of induction models that can be plugged straight into a standard UK plug. For those with slightly dated kitchens and only a 13 Amp plug in the vicinity, that’s music to the ears. Energy consumption is just 3 kilowatts as opposed to 4.7kw for the other models on this page and that equates to lower electricity bills, too. What’s not to like? The Bosch comes with four induction zones embedded in a decently alluring slab of black ceramic glass. Rather handily, the two cooking zones on the left can be combined into one long zone for oblong casseroles and other large cookware. A bridge function like this won’t be used everyday but it’s always good to know you have the option should the need arise. The Bosch also has useful functions such as PowerBoost, which provides up to 50% more power in a thrice, automatic pan size recognition sensors in each zone and a touch-sensitive control panel that's a breeze to use. If you’re in the market for a reasonably-priced, well specified German-branded model that will plug straight into your existing 13 amp socket then stop right here. This portable, single-zone, worktop model from Lakeland is a brilliant accompaniment to have alongside an existing hob, whether it’s gas or induction. It’s also the perfect fix for Rayburn and Arga owners who tend to leave their cookers off to save on the huge electricity, gas and wood bills these behemoths generate. And, of course, if you live in a small studio flat or bedsit, having something like this means you can now rustle up a proper meal for once instead of toast and pre-packed microwaved mush. The Smart Touch plugs into the nearest available socket, measures 39cm x 31cm (about two-thirds the depth of an average kitchen worktop) and will easily accommodate induction-ready pots and pans with bases up to 27cm in diameter. It comes with six pre-set cooking modes (slow cook, pan fry, stir fry, simmer, boil and keep warm), ten temperature settings from 70˚C to 240˚C and a handy timer function. To change a mode, simply keep tapping the button until the relevant icon lights up. And if using the slow cook, pan fry or stir fry modes, you can adjust the power/temperature using the handy circular touch-sensitive dial. The Smart Touch boiled 500ml of water faster than the kettle and at more than twice the speed of the gas hob. The touch interface, too, was easy enough to get a handle on without even a sniff of the manual. Granted, it isn’t as small or as portable as the similarly-styled Tefal reviewed below but, at just 4cm in height, it’s a much more elegant option for permanent or temporary placement. If you only have a 13-amp plug socket to hand and no special cooker-specific ring mains knocking about, consider installing this keenly-priced, four-zone model from every high-end property developer’s favourite cooking appliance manufacturer. 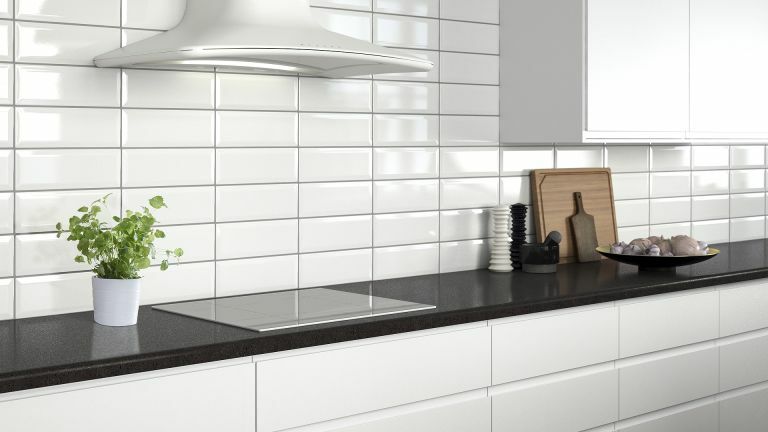 The Neff’s ceramic top is comprised of two 180mm zones (up to 3kW), a 145mm medium-sized zone (up to 2.2kW) and a small 210mm zone (also up to 3kW). However, with all four hobs running at once, some zones don’t heat as evenly or as quickly because of the unit’s relatively low 3kW power rating. Mind, this is pretty much the norm with most plug-and-play models and the best way round it is to either stir the food a little more to distribute the heat or don’t use so many zones at once. We should also add that it doesn’t come with a bridge function so you can’t link two zones together. The Neff’s TouchControl interface is very easy to use and includes a boost setting and the obligatory timer. Users rate this hob extremely highly and praise it for its incredible speed at boiling stuff and generally making the task of cooking a hell of a lot more pleasurable. Even cleaning it is almost a joy. This portable from Tefal is smaller than the Lakeland reviewed above but not quite as attractive to look at. However, it is a much more suitable size for caravan and boat use and a damn handy addition to your glamping paraphernalia. The Tefal is equipped with a tough ceramic surface and measures just 27cm in width, making it suitable for steel-bottomed pots and pans up to 25cm in diameter. Its five pre-set modes – boil water, stir fry, deep fry, stew and heat milk – are a doddle to use and if you need to adjust the temperature, simply tap either the plus or minus icons. It also comes with a manual mode with nine power levels, from 450W to 2,100W. This writer was frankly blown away by how well it works. At a shade under £50, it’s an absolute no brainer, but don’t take my word for it; just head over to John Lewis or Amazon and read all the glowing reviews. Given the amount of cooking power (7.35Kw) and useful tech it offers, this flagship AEG is outstanding value and well worth considering if you need something more versatile. It’s a great looker, too. Some professional chefs aren’t fans of induction hobs and much prefer the freedom of a gas flame. One of their biggest gripes is that they can’t sauté (ie shake) the ingredients just above the heat on an induction hob as they can on a gas hob because the induction zone instantly switches off as soon as the pan loses contact. Well AEG may well have solved that issue to some degree because this high-end model has something called PowerSlide. It’s basically one long rectangular zone on the left hand side that can be programmed to operate at three different temperatures. This allows the user to slide the pan quickly from one zone to the other theoretically emulating the gas sautéeing technique. It’s also a dead handy feature if you simply want to lower or raise the temperature of the ingredients quickly and efficiently. As if the cooking zones on this model aren’t already big enough to accommodate most large pans, you can also take advantage of AEG’s FlexiBridge system and combine four segments together to create one mega zone for making giant stews or perhaps even a paella. AEG’s Direktouch control meanwhile ensures accurate fuss-free temperature adjustments for any individual zone. IKEA doesn’t just do flat-pack furnishings, it also sells induction hobs seemingly named after fictitious fantasy characters. If you’re after a clean look to go with your new solid Quartz worktop then this opaque off-white option is an excellent choice. Word on the street is that the Bejublad is made by Whirlpool… or maybe Electrolux. Whoeveris is, it’s a damn fine induction hob at a very keen price, and you certainly can’t overlook IKEA’s impressive five-year guarantee. This four-zone induction model offers a bridge function, which you don’t normally see at this price level. Say you’ve got a large oval Le Creuset casserole cocotte on the go. In most instances a cast iron pot of that size will be too large for any one zone and induction hobs are very choosy about pan size. With this unit you can simply turn two smaller zones into one big one so that the cocotte’s dimensions fit within the correct operating dimensions. The Bejublad features touch and slide control for easy heat regulation and a power boost function for rapidly boiling water, stir frying or searing steaks. The pause function is another dandy feature that suspends the cooking process while you answer the doorbell. This stylish option is efficient and easy enough to use without having to reach for the manual. A top mid-priced buy. This particular Miele doesn’t have any particular whistles and bells attached – for that you’ll need to fork out in excess of £1,500 – but given Miele’s exceptional reliability record and manufacturing expertise, no domestic appliance roundup would be complete without one. For your £600-£700 outlay you get four cooking zones – one large, two medium and one small – that automatically detect the size of the pans being used, a wonderful touch-control interface that will absolutely not require a manual to get a handle on and an exquisite black ceramic glass top that’s a doddle to wipe clean. Ironically, this Miele is probably the most basic induction hob on this page but sometimes you just want a stylish product that’s easy to use without ever having to refer to an instruction manual. In that respect this model’s a veritable cracker.